What are Multifamily and Apartment Loans? Properties with five or more available dwellings categorize as apartment buildings. On the other hand, houses, condos, duplexes, triplexes, fourplexes, and even complexes with 1-4 units are consider multifamily dwelling units. Apartment buildings and multifamily dwelling units indeed differ. However, the loans offered for the two different dwellings units categorize under one umbrella. 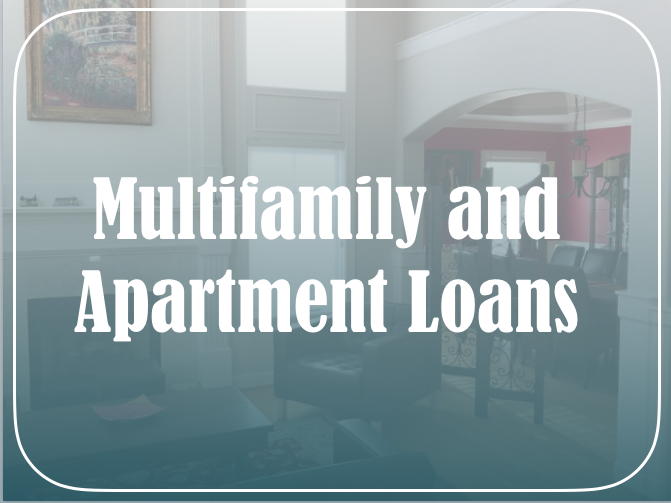 In all, multifamily and apartment loans are financing options used to purchase or renovate a multifamily dwelling unit or an apartment building, respectively. How do Multifamily and Apartment Loans work? Multifamily and apartment loans can be long term, ranging from 25-30 years. They can also be short term, ranging from 5-10 years. Interest rates for the different terms can be fixed, varied, or hybrid. In addition, the interest rates can change to one of those options at a specified time period. The borrower must consider the loan fees and interest rates involved in multifamily and apartment loans. There may be fees that the borrower may need to be able to fund to qualify for the mortgage. In addition, adjustable interest rates matter too. All the fees and interest rates involved seem daunting. Nonetheless, the borrower should keep in mind that not everything is set in stone. For instance, short term multifamily and apartment loans are renewable or refinanceable at the end of an initial term. Therefore, the borrower need not worry about making a decision and later be unhappy about it because he can always go back and change the loan term. 3CALoan has developed a comprehensive mix of highly customized multifamily and apartment loans. Our loan programs help maximize an individual’s returns for multifamily housing as well as apartment buildings. Furthermore, our programs, offered at competitive rates, are based on the customer’s needs and requirements of her property. Therefore, owners and investors can spend less on interest and fees. These owners and investors can turn an even bigger profit from their investment in an apartment building or complex. There are flexible loan terms and payment schedules available to fit the needs of any owner or investor. The funding for these terms and schedules is used on the purchase, construction, or the renovation of an existing structure. Refinancing loans are available to save the current owner’s money on her mortgage loan payments. No matter what the size of the building, 3CALoan can offer multifamily and apartment building loans that fit an owner or investor’s individual needs.